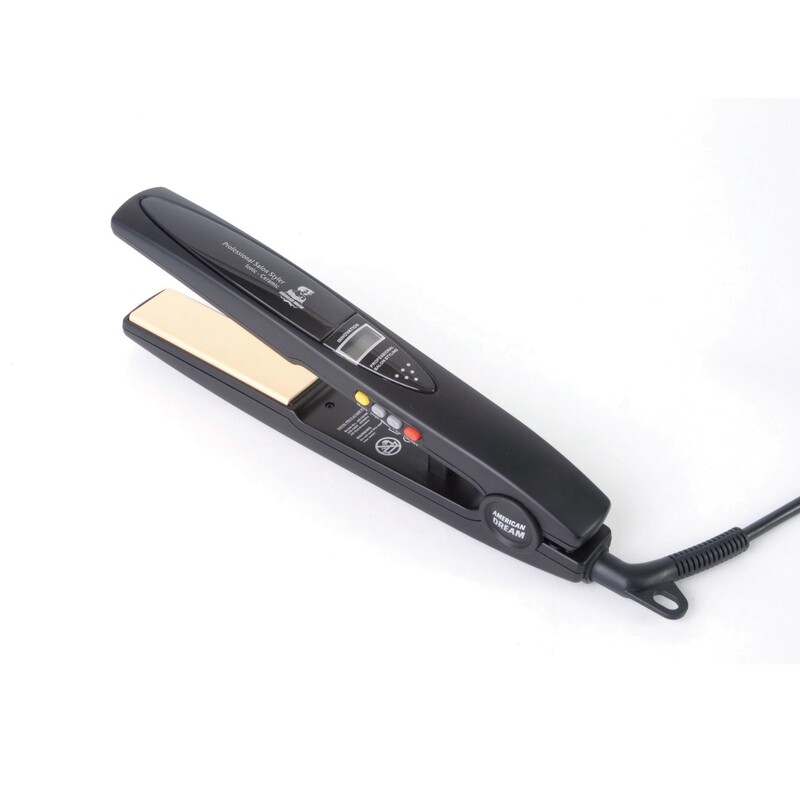 Ceramic straightener which emits negative ions giving smooth and silky hair. This Digital Ionic Ceramic Hair Straightener has fine ceramic one inch plates to give shinier, silkier results than regular ceramic flat irons, giving every style that beautiful glossy finish that all clients love. The nature of the plates also means that this unique straightener is perfect for all hair types, from fragile and thin to wavy and thick. Our Ceramic Hair Straightener emits negative ions, combating the everyday damaging effects of dust and pollution. Ceramic renews and revitalises the hair, with the infrared heat generated by the plates keeping each strand protected. The Ceramic Hair Straightener’s flat screen monitor indicates the exact heat setting and current temperature giving you the control to create any style and work on any hair type – no more guesswork! This is excellent for Thermofibre Hair Extensions which can only be heated to 170oC. A fast heating time with 100 watts of power combined with superior Ceramic Pulse heating technology ensures styling hair has never been quicker or easier. The plates glide through hair without snagging or pulling, minimizing damage. Offering great finishing touches the Digital Ionic Ceramic Hair Straightener has wrap around heating plates, contoured easy grip handles and a nine foot (2.8m) professional 360° swivel power cord.